Creating that Perfect Mother’s Day! My two and a half year old girl running barefoot in the grass holding hands with her aunt as their cotton Easter dresses blow in the wind. 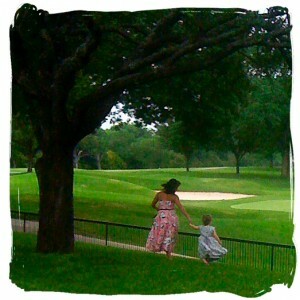 This would make an awesome post card image or something for Mothers Day! Love this shot! (course you already know that) Hugs…. I think my wife just shot it on her iPhone, but I just love it. Well, the sight of my little girl running in the sunshine, barefoot in the grass with her cotton dress blowing in the wind is pretty much guarantied to be a fav of mine. Thank you so much, Elle! I’m following you on Twitter already, and am now following your blog and am a fan of your facebook page! Your recent cookies & cakes post made me so hungry. Yummo! Hi Laura, thanks for stopping by! Loved your photos of London. Those could have been postcard shots. And of course perfectly timed for the Royal Wedding. SO adorable – the wind-blown dresses really makes it! LOL… Megan. I just came from reading your “6 Dreams for My Daughter (The One I’ve Yet To Purchase*)” and you never fail to make me smile. Can’t have too many of those. READERS: if you are not following Megan you owe it to yourself to go do so now! That’s a beautiful shot, I am surprised your wife got it on a IPhone. I second the idea of using it for Mother’s Day cards, it is beautiful. Thank you. It’s amazing how good the camera (and video capture) is on the iPhone 4S. Even though I have a good digital camera, I use my phone most of the time. This was taken on an older model, of course. you present here. Please let me know if this okay with you. Many thanks! Thanks for your kind words, Millie. As indicated on every page, all content, including text, images and video, on this site are licensed under a Creative Commons Attribution-NonCommercial-NoDerivs 3.0 Unported License. Please write me if you have any questions. Thanks again for your interest.